This post contains nothing but bragging rights. 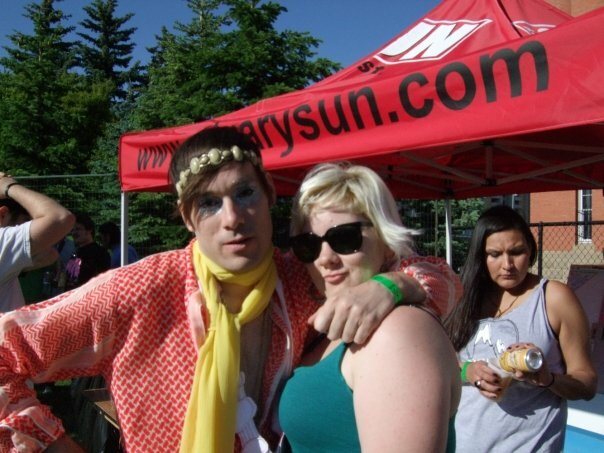 That is right boys and girls, no play list this week because I was too busy being awesome in Van City. Now, why was I in Vancouver last week? To see Radiohead of course! Great show, wicked crowd. It poured, all night, which only served to make the show better. Thom Yorke barley spoke (and when he did, it was charming as hell) and the rest of the band spoke not at all. I missed most of The Liars, but they were pretty rad from what I saw. Really, nothing I can say will convey the absolute greatness that the show was so I will end it here. Check out the setlist…the end, very last song, Thom/Radiohead gave the audience a choice between Paranoid Android or Idioteque. I guess there were a lot of OK Computer fans in the audience as Paranoid Android won right out. That’s ok, it fit the show and it just means I must see Radiohead again to get to dance to Idioteque. 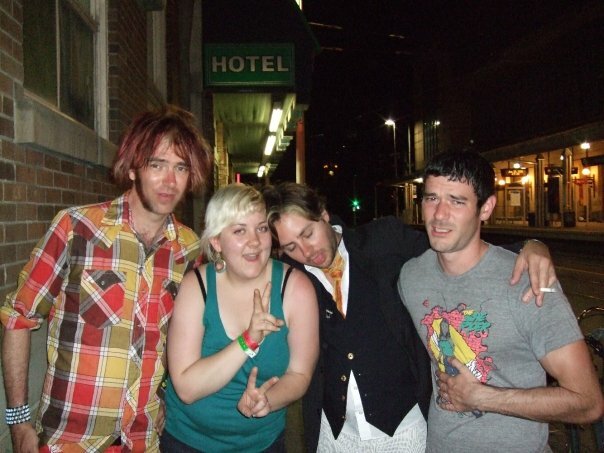 That’s right, me and the members of Of Montreal kickin’ it at Sled Island. One more amazing perk of fesitval goodness. August 15th Playlist or: I am going to RADIOHEAD in FOUR days! This is my playlist. More importantly, I am so stoked to go to Van City and see RADIOHEAD!!! CAPS LOKS ON THE REST OF THE SHOW! If you’re a vancouverite feel free to holla at me and we should hook up! Well, you know what I mean, meet up, not hook up….oh jeez…this is awkward.